Explore the East and West Banks of the Nile in a day on this guided tour of the region. Visit the Valley of the Kings, the Temple of Queen Hatshepsut, the Colossi of Memnon, the Karnak Temple, the Temple of Luxor, and more. Lunch at a local restaurant is included. At 7:00 am Your tour guide will be waiting you. He will be holding a sign of your name, You do not need to look for him – he will be waiting for you and will find you. 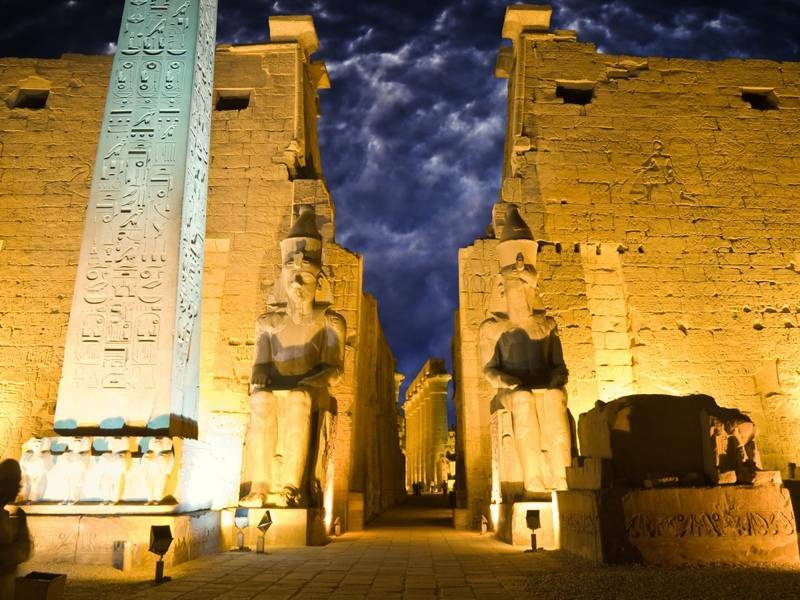 Enjoy visiting the most famous sites in Luxor on both sides of the river Nile! Visit Karnak Temple and Luxor Temple on the East bank and then see the Valley of the Kings, Hatshepsut Temple and Colossi of Memnon. Visit the Valley of the Kings, the magnificence of the grandeur of architecture which was used for burial, there are many kings buried in this valley. The most known tombs are King Tutmosis I, Tutmosis III, Tut-Ankh-Amon, King Ramssess VI, King Mrenptah and AmonhotepII. depend on availability. Move on to visit the Temple of Queen Hatshepsut, which was built by Queen Hatshepsut, daughter of Thutmosis I, who ruled Egypt about 20 years during the 18th Dynasty (approximately 1490-1469 B.C), the only pharaonic woman who reigned ancient Egypt. You will pass by the colossi of Memnon which are remains of the mortuary temple of Amenhotep III. Continue driving to the east bank of Luxor to enjoy having your lunch at a local restaurant but drinks are not included, before moving to visit Karnak Temples, the greatest example of worship in the history, dedicated to the God Amon, his wife Mut and their son Khonsu. 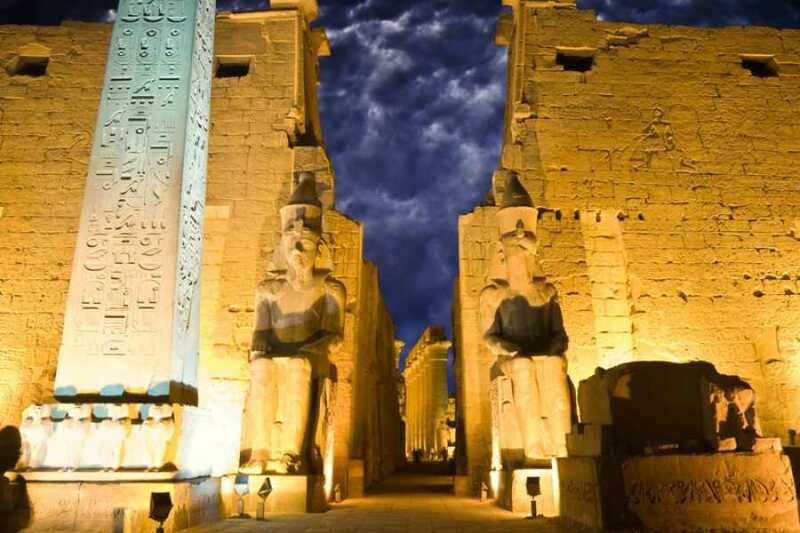 End your tour by visiting the Temple Of Luxor, it was built by Amunhotep III in 18th Dynasty in the New Kingdom and it was completed by Ramesses II during the 19th Dynasty. Later you will be driven Back to your hotel in Luxor. Travel in comfort back to your hotel.